I was inspecting to see how much honey I might have to harvest this year, and when I looked into hive 4 and pulled the second frame in the top of three medium boxes this is what I found. This is Sally 2 from the Q1 rearing. There was so little activity at the entrance, that I really would not have been surprised to find that Sally was gone. 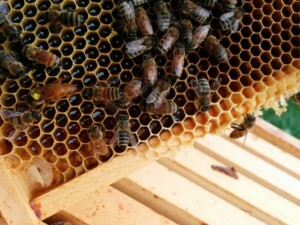 Instead I found a moderate number of happy bees storing honey in the top of the three brood boxes. 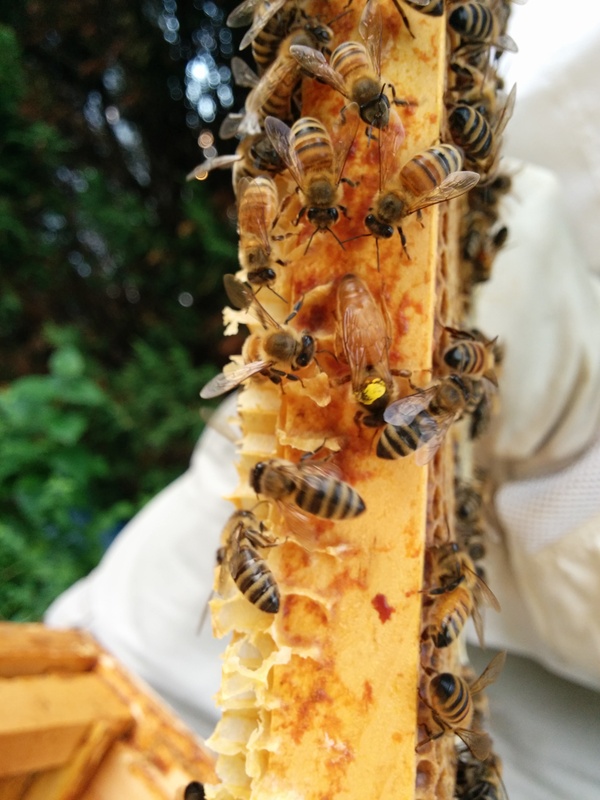 I will do a better inspection later to see how the brood pattern looks, but for now I think things are doing well and I will hope that this hive can make it through the winter. 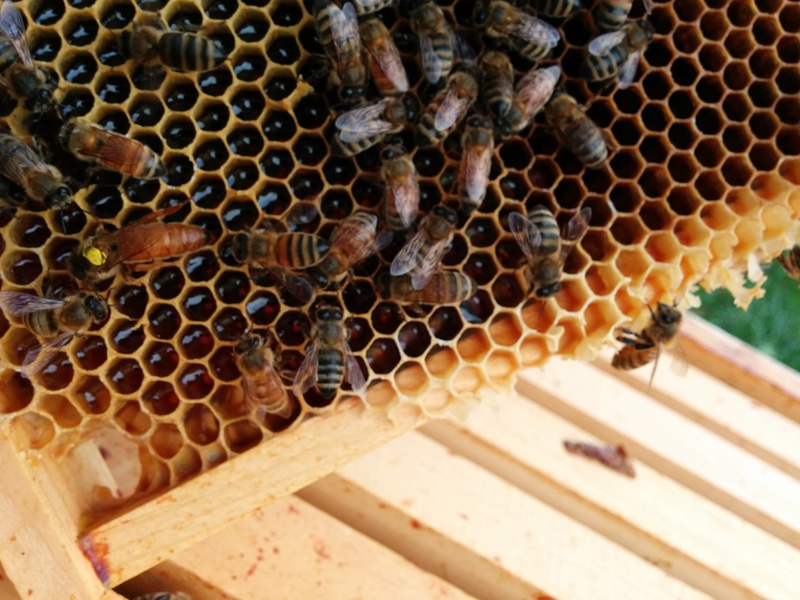 I didn’t pull any frames for extraction, and at the rate they are storing honey, I think this should be fine with a little feeding in the fall. Is this the queen that played dead when you marked her? No, that queen was marked in blue and is in hive #1. This blue queen is also a Sally 2 queen, if, as I am rather certain, the hive swarmed sometime after we grafted eggs from it for Q1. ← The Move and More Lessons!